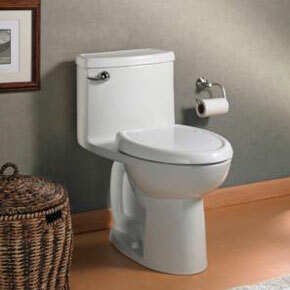 There are only a few firms that receive as much press as American Standard when it comes to bathroom supplies. Not a company to hide its light under a bushel; American Standard are more than just a bathroom supplier. Ensuring that all their products are manufactured to the highest standards possible, their drive for excellence is nothing short of compelling. Using the internet to its fullest use, American Standard creates regular articles about its vast store of goods. Enjoying a high prestige on Facebook and Twitter, American Standard really does stand out from the crowd. As you would imagine a company that strives to produce innovative designs is destined to win awards and this is true of American Standard. Recently, American Standard won the coveted Awards for Design Excellence (ADEX) for its five-foot walk-in bathtub. So, what’s all the fuss about? Well, the EverClean range is exactly as it suggests; it ensures the equipment is always clean. This is made possible by the special coating that is applied to the shower cubicle doors and walls that allows water to simply slide off. This ensures that mold and bacteria can’t get a foothold ensuring the surface is smooth and clean – always. The best thing about it is you only need soap and water to clean it. No detergents or harsh cleansers. A simple wipe down and you’re done. The EverClean surface is permanent so it never washes off. Many people pay extra for this kind of surface on their tubs and in their showers, and it can be quite costly and if not applied properly, it can ruin the bathtub or shower. Not only that, the lifespan is limited too, so a further application will be required again at some point, or a replacement unit. So, to be able to buy a product with it already applied, with a warranty, is a dream come true. Okay, so not everyone gets excited over this but its horses for courses. American Standard has patented the EverClean process and is starting to use it on more and more of their products. American Standard has a new product using this technology called Clean shower, and this is a dream for the remodeler. It is designed to quickly and easily replace existing an old shower. It comes in a range of sizes, which means you can get just the right one for your bathroom. It is scratch resistant and is supplied at a great price. Apart from the excellence in design American Standard also extend this quality to their website. There is so much help on there for everyone, from the layperson to the professional and it is all pitched at just the right level. No wonder they received the Webby award for the ‘Best Navigation and Site Structure. They rightly deserve it!